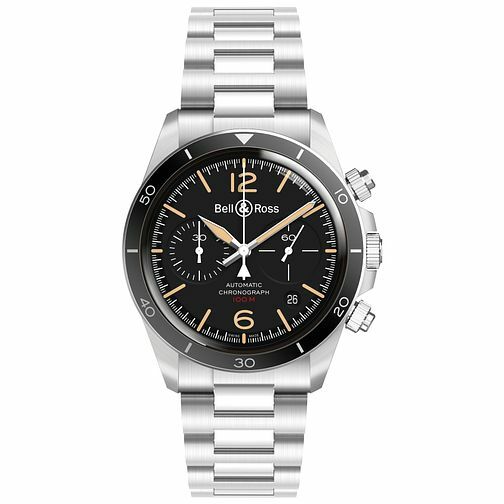 Originally designed for extreme professionals, Bell & Ross deliver exceptional Swiss timepieces excelling in readability, function, precision and water resistance. Mixing classic and contemporary design, this men's timepiece features a sleek stainless steel bracelet, stainless steel case and simple black chronograph dial with contrasting rose gold tone detailing. Swiss timepieces designed with the professional in mind.